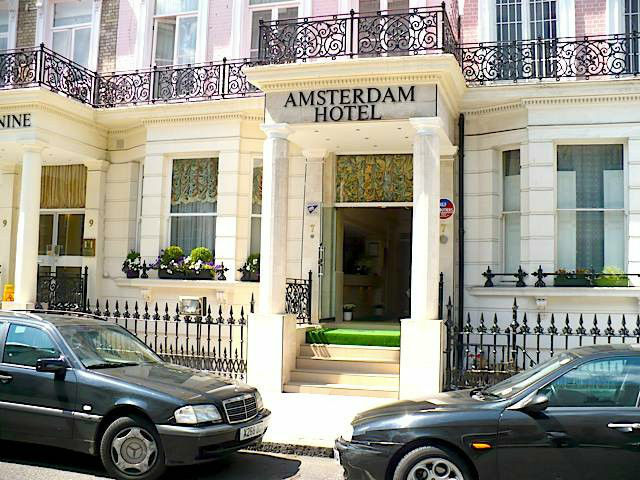 Quietly set on a tree-lined street in central London, the Amsterdam Hotel is 300 metres from Earl's Court Tube Station. With free WiFi and reception desk open until 11pm, the family-run hotel is just a 15-minute Tube ride from the popular West End. Combining original features and modern comforts, the hotel offers a lift to each floor. Rooms feature a flat-screen TV, tea and coffee making facilities, and an en-suite bathroom with Gilchrist and Soames toiletries. Some rooms overlook the quiet patio garden, large suites feature seating areas and kitchenettes, and some have a balcony. In the mornings, the Amsterdam Hotel serves continental breakfast. For lunch and evening meals, there are numerous exotic eateries in the surrounding Earl's Court district. Along with the Olympia Exhibition Centre and the Victoria & Albert Museum, the Natural History Museum and the Science Museum are all less than 1 mile from the Amsterdam Hotel. Home to the world-famous Harrods Department Store, Knightsbridge can be reached after a 15-minute Tube journey.